The spider lily's exotic fragrance highlights a scented blend of tropical island flowers, citrus island fruits, blooming night jasmine, and balmy sea air. 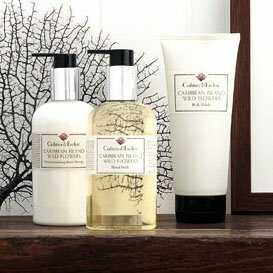 Enticing fragrance of a tranquil Caribbean island. Collection formerly known as India Hicks Island Living Spider Lily.